There’s gold in them fields – black gold, that is! 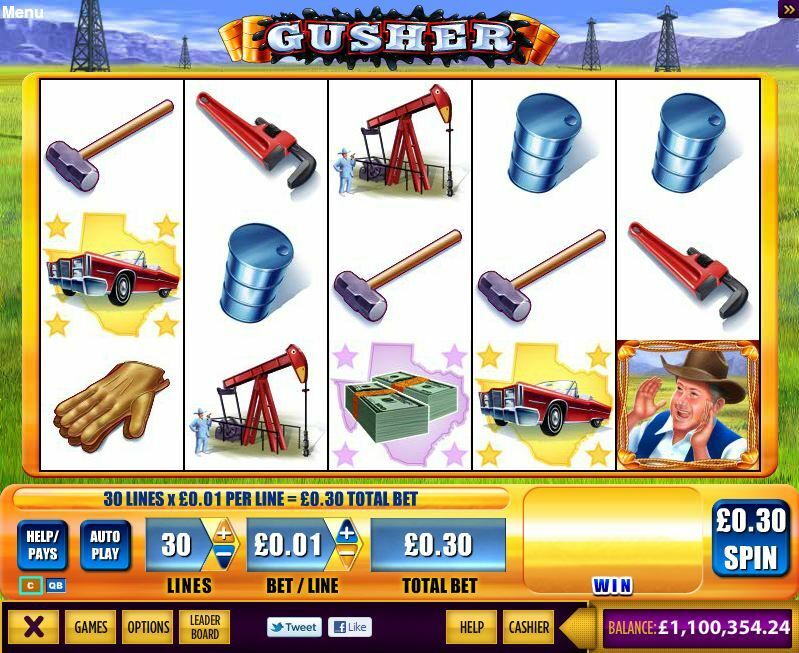 Get your share in the GUSHER game, the 30-line online slot game available at Bet 365 Casino. Keep your eyes peeled for 3 or more scattered cowboy symbols to trigger the gusher feature – worth 7 free spins and a credit award. There she blows! Even better, WILD symbols appearing anywhere on reels 2, 3 or 4 expand to fill the entire reel – and stay locked for the rest of your free spins! 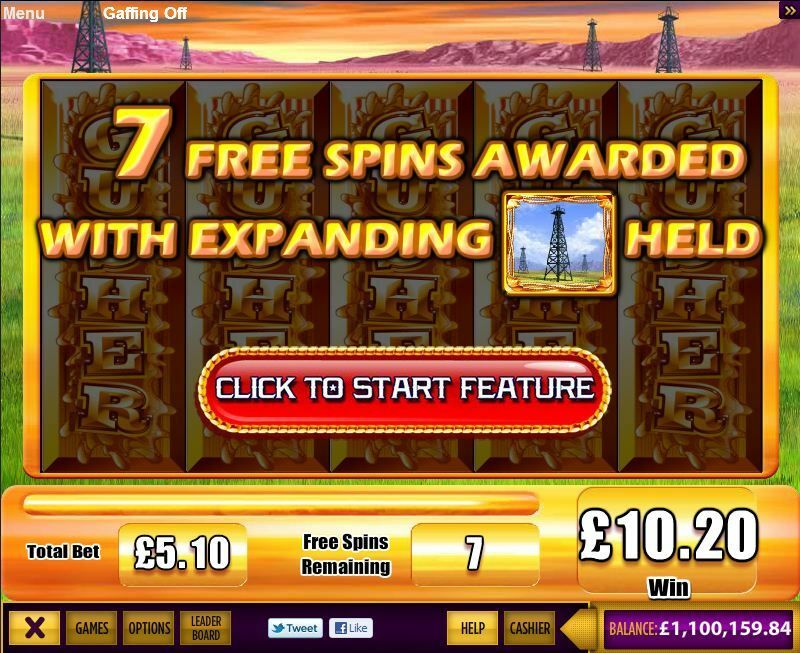 You could get up to 6 spins with 3 reels WILD – now that could be striking it rich! Want to be an oil baron and try to strike it rich? 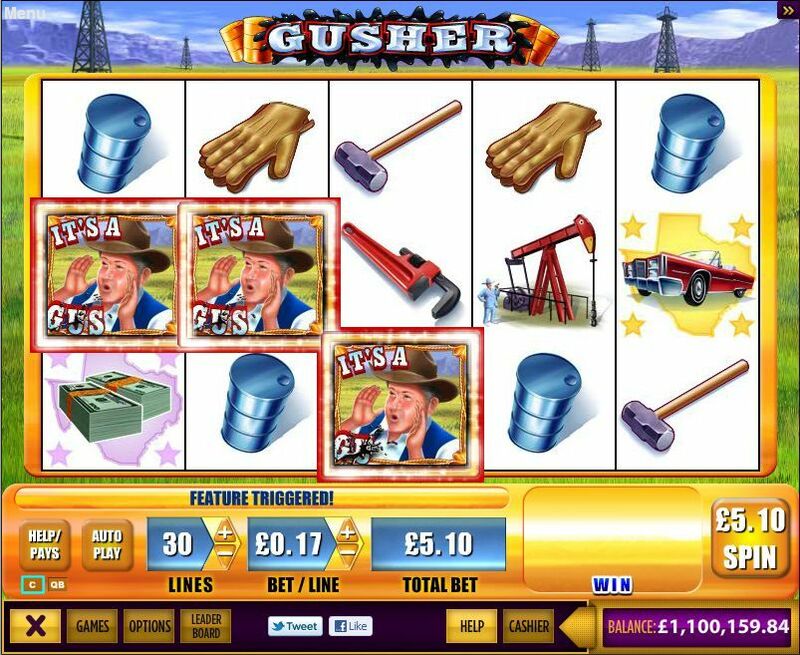 Then play the Gusher slot game today, only at Bet 365 Casino!